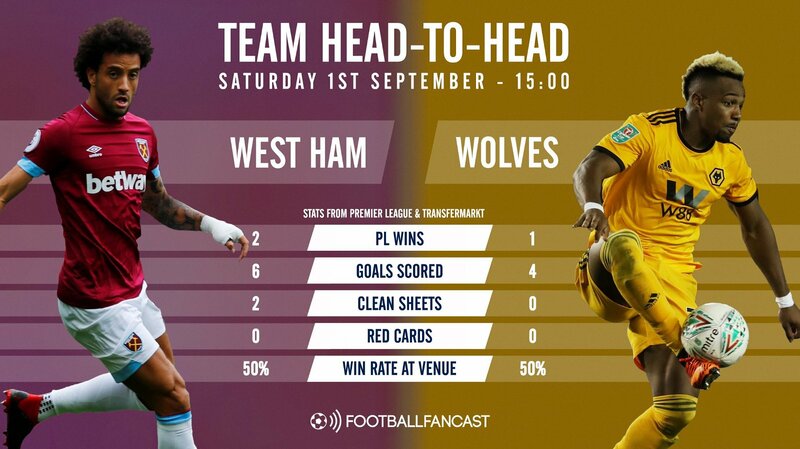 Amid a Premier League weekend lacking a real headline encounter, West Ham vs Wolves stands out as a clash of unassuming significance. Both of these teams have invested heavily in some incredibly exciting talent during the summer and been tipped to finish in the top half, but are yet to pick up their first Premier League wins of the campaign. So Saturday’s meeting at 3pm could be something of a turning point for both, a win leaving them hopeful of an exciting season ahead and a defeat creating early fears of relegation doom. Surprisingly, West Ham and Wolves have only ever met on four occasions in the Premier League. The Irons were relegated for the first time from the Premier League the same summer Wolves were promoted for the first time, while the Midlands outfit’s stint in the top flight between 2009/10 and 2011/12 also included one term back in the Championship for the Hammers. Accordingly, there isn’t a great deal to go on here, although the Irons did fare better in those previous meetings, taking seven points while scoring more goals and keeping two clean sheets. Interesting however, Wolves’ only Premier League win over West Ham came in east London – although they’re yet to visit the London Stadium. 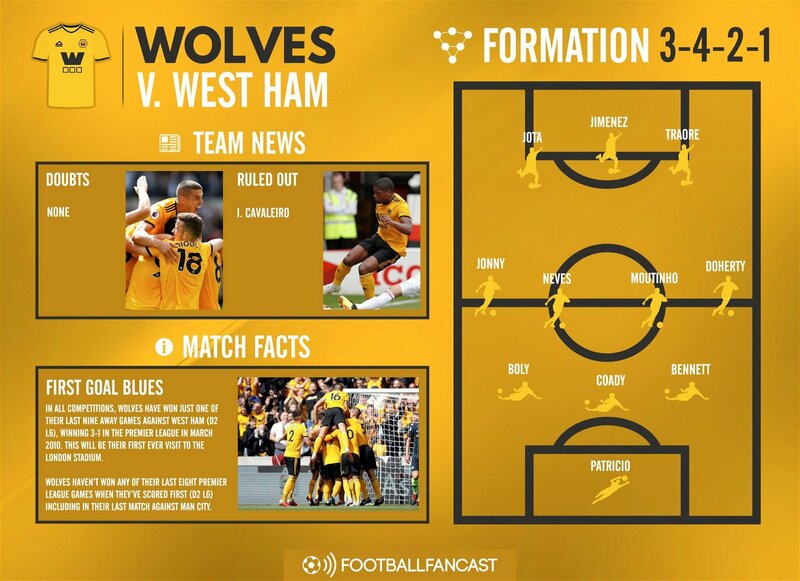 While West Ham’s engine room still looks like something of a weakness its certainly a strength for Wolves. Ruben Neves is undoubtedly one of the most talented young players in the Premier League and Nuno Santo appears to have found him the perfect partner in Joao Moutinho, the Portuguese pair combining so effectively against Manchester City last weekend. But if the Irons do have a ray of hope in the middle of the park it comes from Jack Wilshere. Signing the England international on a free transfer is a shrewd piece of business for the east Londoners and although he’s not quite exploded into life just yet, Wilshere certainly has the technical qualities to unlock doors for Pellegrini’s side this weekend. 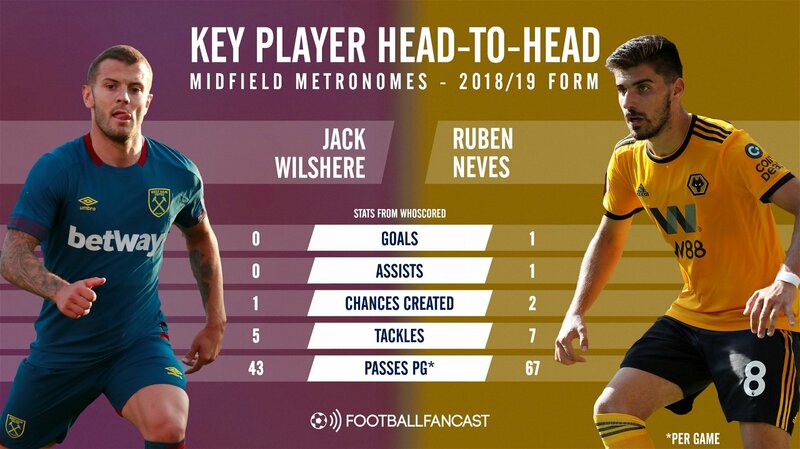 That being said, an elevation in performance is clearly needed; Wolves’ metronomic counterpart Neves has bettered him for goals, assists, chances created, tackles and passes per game so far this season. 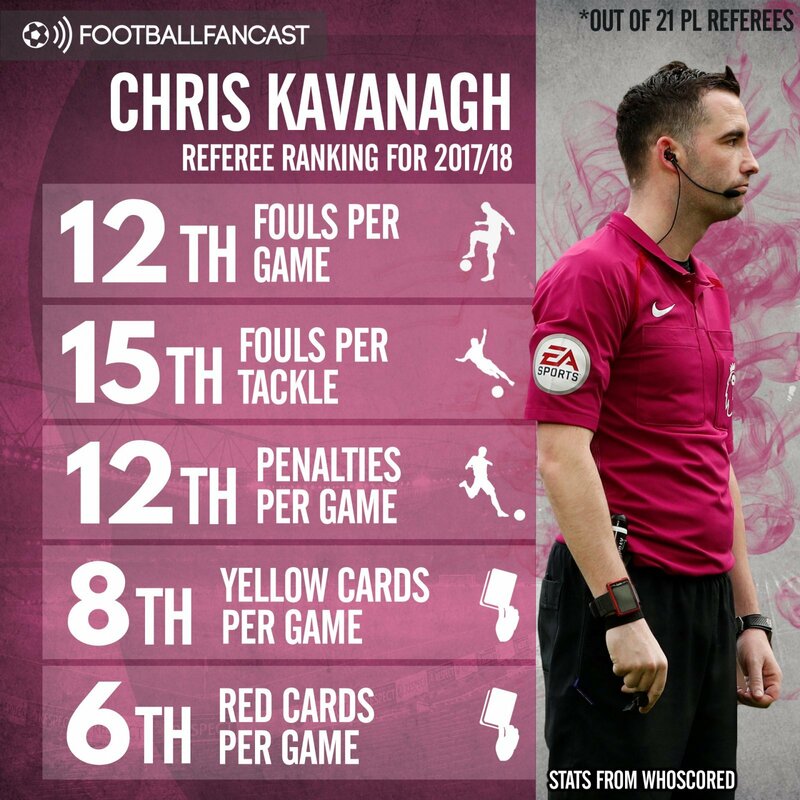 Chris Kavanagh is one of the Premier League’s less experienced referees, and perhaps that shows in his statistics. After all, while he’s generally shown a leniency towards fouls and even penalties, suggesting he has no problem with physical challenges, he ranked a lofty sixth from the 21 referees to work in the top flight last season for red cards per game, while his rate for bookings wasn’t too far behind either. Overall then, although Kavanagh is a relatively hands-off referee, when he does blow his whistle it usually leads to a card being shown. Considering we’ve already seen eight players sent off in the Premier League this season, West Ham and Wolves need to be wary of that this weekend. Although there have been a few concerns over the fitness of Mark Noble and Marko Arnautovic, we’re expecting the latter to start against Wolves this weekend, having seemingly recovered from the injury that forced him off against Arsenal. 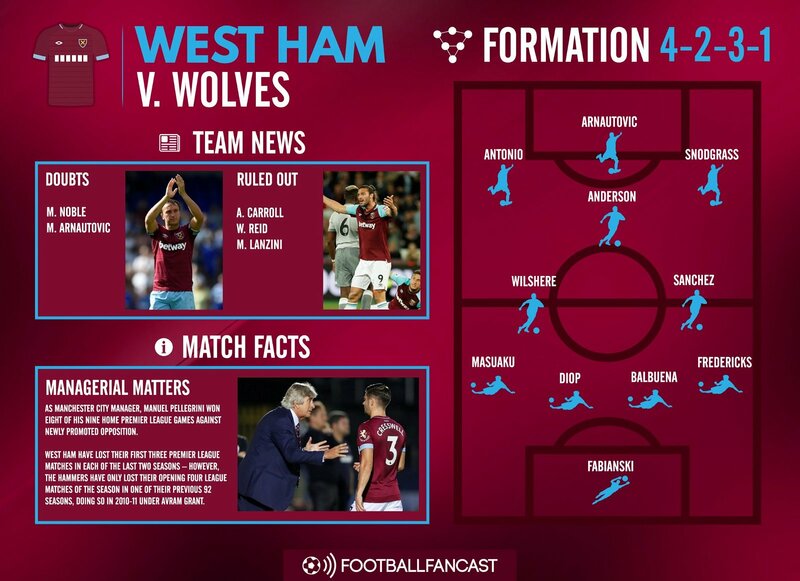 In fact, despite losing 3-1 at the Emirates Stadium, it’s more than likely Pellegrini will stick with the same starting XI – after three straight defeats and plenty of changes, West Ham desperately need some kind of continuity. Pellegrini rung the changes in midweek though, so only two players look set to keep their place from the 3-1 win over Wimbledon – Robert Snodgrass and Issa Diop. Bearing in mind how effective it was against Manchester City, we’re expecting Nuno Santo to revert back to pretty much the same starting XI and the same game-plan for Wolves’ coming Premier League clash. After all, West Ham have already shown their defensive weaknesses this season whereas this Wolves side has already shown the organisation and quality needed to pick off teams away from home. The only potential exception comes in the form of Adama Traore – the 22-year-old was arguably the most exciting arrival of the summer at Molineux but is yet to start for Wolves in the Premier League. But reverting back to that line-up, Traore excepted, will involve eight changes from the side that beat Sheffield Wednesday 2-0 in midweek.